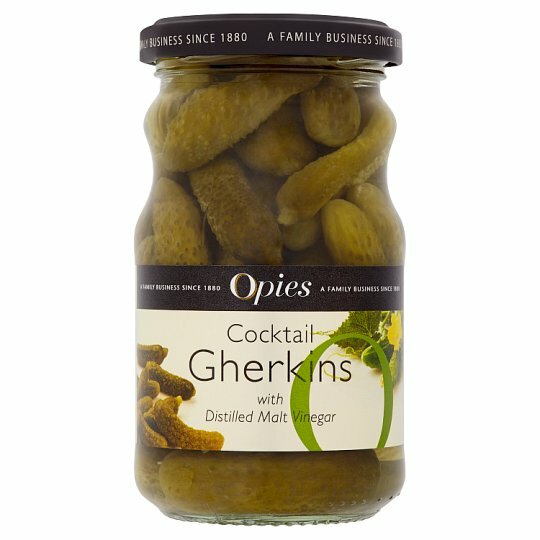 Grown on the vine and hand picked these delicious, crunchy and tangy gherkins are perfect for snacking, as an accompaniment or as an ingredient. Just imagine home made tartar sauce or spiced herb butter. Store in a cool dry place., Once opened, keep refrigerated and use within 8 weeks., Best before end: See lid.